British firms are demonstrating characteristic resilience in the face of Brexit uncertainty. Just six months from the formal withdrawal date and much still remains unknown. Businesses in the UK are considering a broad range of outcomes including a no-deal scenario. British firms need to be realistic about coming challenges. We can prepare. 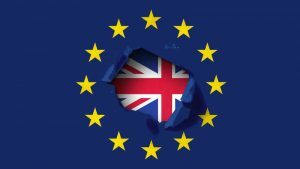 Brexit will have a significant impact on investment, legal and regulatory exposure, outsourcing production, and supply chains. It also affects a range of other work across both office and factory floors. We need to give stakeholders the right insights on these dealings. But we can’t divert resources that would otherwise be used for growing the business. This means having a good understanding of the risks and opportunities. Businesses have always struggled in different ways to evaluate and address big changes. The new GDPR regulation was more than an inconvenience for many. But for most it hasn’t risen to the level of the negative predictions. The impact of Brexit on contracts is far bigger reason for concern. Contracts are not set up to deal with changing customs rules. Businesses must check incoterms to ensure they understand their responsibilities when trading under a given contract. Any number of practical impacts will be expected. Costly mistakes can be avoided by accurately assessing these impacts. Brexit will massively impact supply chains. Suppliers will have to adjust to a new and more complicated system. Companies have moved to leaner supply chains and saved large sums. Brexit is already driving commercial warehouse costs up. Holding goods for longer due to slower supply chains increases costs and complicates write-downs and asset valuations. Some firms will need to boost their warehouse capacity and bring on new suppliers and contractors. Brexit has weakened the stability of the pound. Uncertainty has kept its value low, which is good for British exports. Some sales contracts require a fixed price over an extended period. This can prove costly depending on the price and availability of raw material. Inserting ‘Brexit clauses’ into contracts is one way of protecting them from uncertainty. The clause could trigger a change in its terms following a certain event. It could obligate the parties to renegotiate or provide a right to mutually or unilaterally terminate. Many contracts will be rendered invalid by changes in the laws that govern them. British firms will find it necessary to transfer some contracts to an entity in the EU. Business as usual could depend on keeping access to the single market in this way. UK firms that work with EU governmental entities also should think about this. Manual review of contracts is very expensive and slow. Humans are naturally inconsistent and make mistakes. Firms spend up to 80 percent less when they use AI and machine learning to find, extract and analyze their contracts. Artificial intelligence can be applied quickly and at scale to get an accurate picture of Brexit exposure. British companies want ways to examine straight-forward topics related to Brexit like governing law, jurisdiction and location. Most don’t know how to evaluate something that wasn’t even thought about when a contract was drawn up. Software developers are looking for ways to help. Seal offers a Brexit pack to see where Brexit will have the most impact, for example. Complicated things like “change of law” within force majeure are tougher to address. Brexit could trigger the right to terminate a contract, for instance. Firms can also set up separate legal entities for these businesses. Machine learning is proving adept at identifying and analysing these kinds of complex provisions. Brexit has shone a spotlight on the value of contracts held by the enterprise. This will hold true whether or not the result is an advantage overall, and whether or not a firm trades much abroad. Disruption is unavoidable but it doesn’t have to be a corporate calamity. An increasingly uncertain Brexit has emerged. We will have to find new ways to prosper on the global stage. British companies are weaving AI and machine learning into their broader strategy. These technologies are easing the adjustment to a post-Brexit world. The Brexit insight they uncover from contracts is clear cause for confidence.